As Head Coach at Bath Tennis Club, I offer individual tennis lessons for players of all ages and abilities. Tennis lessons typically last 1 hour and whether you’re looking to improve your technique, develop your match tactics or work on court agility, I’m happy to adapt the tennis lesson to suit your needs. My particular interest is in technical analysis and stroke production. This involves getting the most out of your shots in a compact motion that both optimises spin, power and control. It’s all about repetition – confidence in tennis very much comes from consistency of technique. Above all though, and most importantly, my tennis lessons are highly enjoyable and taken in a relaxed and friendly environment. I have coached many county tennis players and some national juniors and guided players to the Road to Wimbledon Junior Tournament finals at Wimbledon (AELTC). I coach shared and group tennis lessons for players of all ages and abilities. You can either join a recommended group for your tennis standard or create your own group that I’ll be happy to coach. These sessions tend to be more tactically based because of the numbers on court but of course, I will guide you on the key technical aspects as well. As well as working with the schools officially linked with Bath Tennis Club, I also work with many other schools in Bath and North-East Somerset B&NES. I work for the School Sports Partnership and coach tennis during curriculum time, lunch time and after school. This is such an important part of my coaching programme as hopefully, if the children enjoy their tennis lessons at school, they will continue their tennis into adulthood. 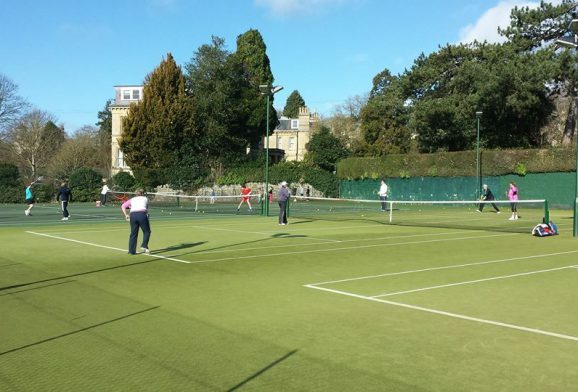 I am based at Bath Tennis Club where I have been Head Coach since 2013. The club has a strong membership base consisting of many juniors and seniors alike. We pride ourselves on being both friendly and welcoming and offer plenty of opportunities for both competitive and social tennis. At Bath Tennis Club, we provide a thorough coaching structure which is enjoyable, rewarding and challenging for all our members. As well as being Head Coach at Bath Tennis Club, I am affiliated with Bath Ace. Bath Ace is a tennis coaching company set up and directed by Andrew Kettle and is responsible for leading the weekly Saturday morning tennis coaching programme, our Under 16’s development/performance squad and tennis holiday camps. In addition to this, Andrew leads an extensive and popular Cardio Tennis programme. For further information please see www.bathace.co.uk.